I have argued for years that the Eisenhower Briefing Document (EBD) is not authentic. I have argued that it was created in the early to mid-1980s because the information contained in it reflected the UFOlogical thought of that time. The one paragraph that seemed to prove that more than any other was the one referring to the December 6, 1950 crash near El Indio – Guerrero area of northern Mexico. I had suggested that this is the sighting made by Robert Willingham and that we know that he has changed so much of the information about it that it is clear that it never happened. “Why bring this up now?” you may ask. Because I have additional information thanks to Isaac Koi, Greg Long, and James Carrion. Let’s take this all one step at a time. Zechel talked about his research into the Del Rio case. He described how John Acuff [one time director of NICAP] had put NICAP’s cases in storage. Maccabee stole documents from the NICAP files. There was a particular file that Zechel read regarding a crashed object in Del Rio. Zechel tracked down a name, Colonel Willingham, in Mechanicsburg, Pennsylvania, flew to Pennsylvania, and interviewed him. Willingham admitted that he saw the crashed object. To assess Willingham, Zechel got the colonel’s military records and proved he was authentic. Later in this same document, in a section labeled “Hoax,” Zechel again alludes to the Del Rio case. He wrote, “[Brad] Sparks responded that he felt only two of the cases showed some promise: the Roswell incident of 1947, which Moore had written about, and one that reportedly occurred in Dec. 1950 near the Texas/Mexico border. On 06 December 1950, a second object, probably of similar origin, impacted the earth at high speed in the El Indio – Guerrero area of the Texas – Mexico boder (sic) after following a long trajectory through the atmosphere. By the time a search team arrived, what remained of the object had been almost totally incinerated. Such material as could be recovered was transported to the A.E.C. facility at Sandia, New Mexico for study. The point is that Moore… obtained two separate manuscripts I had written about the crashed saucer case which reportedly occurred in Dec. 1950, near the Texas – Mexico border. The first manuscript… gave the location of the incident as near Laredo, Texas. The second manuscript… gave the date of the incident as happening between Dec. 5 and Dec. 8, 1950, and the location as near Del Rio, Texas… No witnesses that I know of support the El Indio location given in the ‘briefing paper,’ but, on the contrary several eye-witness accounts have verified the Del Rio site. Moore, however, would not have known that, since I myself did not know these facts until a couple of years after I left Hollywood. What I’m saying is that he [Moore] clearly knew, based on my manuscripts and Brad Sparks’ input, that he had to acknowledge the 1950 case in the ‘briefing paper,’ but with all the bitterness, acrimony, jealousy and hate he feels toward me … he just had to burn that sucker up! What I did say is that I had an affidavit from the retired Lt. 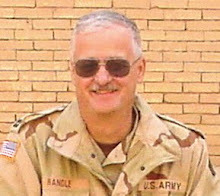 Colonel (emphasis in the original) – the former pilot who flew down to the crash site – about his knowledge of the incident, which is limited to seeing the object in the air and covered by a canopy on the ground. This retired Lt. Colonel is Robert Willingham who did sign an affidavit about the crash. So, we know that Willingham is the source of the Del Rio case, who also suggested that the crash was near Laredo. We know that Zechel was sharing information with Bill Moore, though it isn’t clear that the sharing was voluntary or if Moore acquired the information through some devious means. We know that in the late 1970s and the early 1980s, many in the UFO field believed the Willingham story because he was a retired military officer who signed an affidavit and Zechel claimed that he had verified his records (which by the way is untrue because it is clear that Willingham’s records reveal he was a low-ranking enlisted man with 13 months of active duty). We also know that Zechel was claiming other witnesses, but none have surfaced to this point. But now the Willlingham story is in tatters. As mentioned here before, he was neither a retired Air Force officer nor a fighter pilot and if that is true, then he was not in a position to see any crash of anything. We know, based on the available documentation that Willingham originally claimed that the crash had taken place in 1948, and while Zechel attempted to vilify Len Stringfield for saying this in his 1978 presentation about crashed UFOs, we know, from the available documentation that Willingham himself is responsible for this “error.” Zechel moved the date to conform to information about a security alert in December 1950, but there is nothing to suggest the alert had anything to do with a flying saucer crash. What all this does is prove that one segment of the EBD is based on a hoax and that does not bode well for the remainder of the document. If this paragraph is faked, then what else in it is faked and isn’t a reasonable conclusion that it is all faked? I think that we now have all the information we need to connect all the dots and with that, we can draw the conclusion that the EBD is a fake based on faulty information and complete invention. We can now move onto other, more important things. Here’s something that I have never understood. How can you hold two beliefs that are contradictory? If one is true, then the other cannot be true. They cancel out one another. Here’s what I mean. For the sake of argument, let’s say that the Eisenhower Briefing Document (EBD) received by Jaime Shandera is authentic (which means only for this point). It tells of two crashes, one on the Brazel ranch and the other in December 1950 in the El Indio – Guerrero area near the Texas – Mexico border. It tells us that four “human-like beings” had been found some two miles from the main debris field and all four had been killed in the crash. 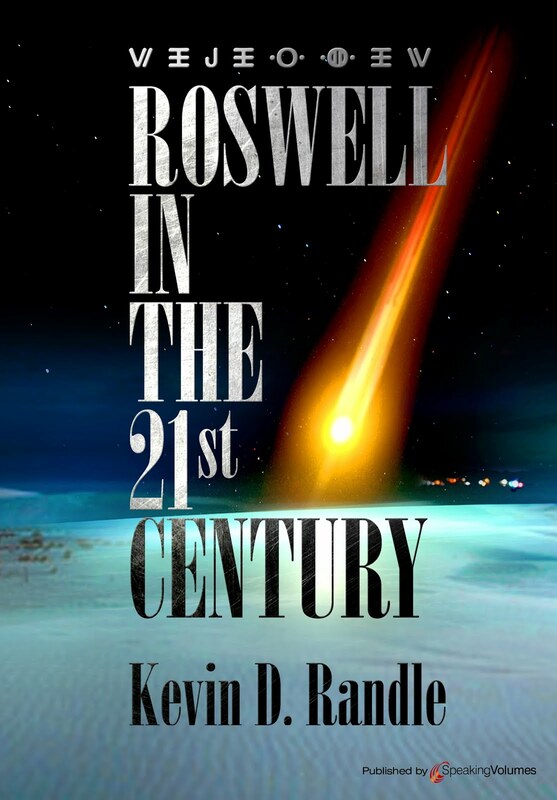 Other details, such as the name of the base at Roswell, the creation of the Air Force Project Sign, and Arnold sighting of June 24, 1947, suggest that the creator of the document had knowledge of the history of the UFO phenomenon. There are those who believe this document but who also believe there was a crash on the Plains of San Agustin which might have been part of the Roswell crash, and another event near Aztec, New Mexico in March 1948. The question that arises from this is if the EBD was created for President-elect Eisenhower, why are these other two crashes left out? There is no reason to hide that information from Eisenhower, unless those creating the EBD knew that those events hadn’t happened? In other words, they didn’t include them because they knew they were faked. Taking this a step further, and because we’ve just discussed the Interplanetary Phenomenon Unit, we see in those two documents the information about a UFO crash near the Trinity site on the White Sands Missile Ranch. While it could be said that this is part of the events on the Brazel ranch, it was not mentioned in the EDB. The documents talk of five creatures rather than four and, importantly, mention that Eisenhower, then the top officer in the Army, would be briefed in August 1947, eliminating the need for a briefing in November 1952. If we look at the First Annual Report, it mentions three sites. Two are on the Brazel ranch and one at the Trinity site. Again, this is in conflict not only with the EBD but also the IPU summary. So which of these documents is accurate and which are fakes? And isn’t it possible that all three are fake? As mentioned in the past, the El Indio – Guerrero crash of December 6, 1950, has but a single witness and the credibility of the crash rests on his shoulders. In the mid-1980s when the EDB was released, nearly everyone in the UFO field accepted this case because the witness was a retired Air Force colonel who had been fighter pilot. The trouble is that he is neither and he changed the date of the crash three or more times. Given those facts, it seems logical to reject his claims of a UFO crash, and if that is true, what does that mean for both the EBD and the First Annual Report, which contain that information? I had planned to talk of other MJ-12 documents that seem to contradict one another, but this all makes the point. There are fatal flaws in each of the documents. Any document created at the supposed level at which these were created would be accurate. There wouldn’t be the sort of elemental errors seen here. If there were three crashes, then three crashes would have been mentioned. I will point out one other obvious thing because there are some who don’t seem to get it. In various MJ-12 documents there are anachronisms… that is, there are things mentioned that did not exist when the documents were allegedly created. I’ve pointed out that the First Annual Report written in 1952 mentions Project Moon Dust which wasn’t created until late 1957 as an example. The MJ-12 manual SOM1-01 sent to Don Berliner some time ago, suggested as one of the cover stories to suggest to the press that the debris was from a “downed satellite.” The manual was allegedly created in 1954 when there were no satellites to crash and scatter debris. Such a suggestion prior to October 1957 would raise more questions than it answered. What all that means is that the documents have some real problems that are not easily explained. They contain information that just wasn’t available when they were allegedly created and they seem to be predictive of the future. Or, more precisely, this seems to suggest the documents are forged. There is another alleged MJ-12 document that suffers from many of the same problems as the Interplanetary Phenomenon Unit Summary and this is the Majestic Twelve Project, Annual Report which is believed to have been created during the summer of 1952. This is another of the documents provided by Timothy Cooper through his source of Thomas Cantwheel, that unidentified man who claimed to have been on the inside of UFO crashes investigations and with the Majestic Twelve or some such. Later, it is noted that tissue samples from the contamination of four technicians involved in the recovery were being held at Fort Detrick, MD. But here’s the problem with those things mentioned above. They are out of place. They shouldn’t be in this document because they didn’t exist at the time it was supposedly written. Or other, better information has superseded it. Newer information has shown where the older data are wrong. For example, the document states that “…ATIC Interrogation Reports, numbered 1 to 93 (the last dated December, 1950), present significant information on a broad variety of subjects…” But, according to Brad Sparks, ATIC wasn’t formed until May 1951 and therefore could not issue a series of reports before its existence. Although there is the discussion about some sort of mid-air collision, the best evidence today is that there was a single craft that scattered its debris over three sites, all of them between Corona, New Mexico and Roswell. There is no evidence of a crash near the Trinity Site, other than in the MJ-12 documents. While an argument can be made that the information we have today does not completely eliminate the collision scenario, it can also be argued that it is out of date information that was the current thinking by some in the mid-1990s. That dates the creation of the document to that time. Then, unlike the Interplanetary Phenomenon Unit Summary, this document adds a third site. This might be an attempt to account for the later information coming from UFO researchers in the 1990s. Realizing that something else had come down between the Brazel ranch debris field and Roswell, the forger added this new detail to conform to the new and better information. As an aside, this information should have appeared in the Interplanetary Phenomenon Unit Summary, since it would have been available in July 1947. This all, of course, is indicative of a hoax rather than the truth. Worse still, is the suggestion that Mack Brazel had found the debris field on July 2. It has been claimed by some that the crash took place either late on July 2 or early on July 3. Brazel found the debris on July 3 or 4, according to some of the scenarios, but none of them include finding debris as early as July 2. The idea of a collision between an experimental aircraft out of Holloman is not borne out by research. Air Force investigation showed that no military aircraft, either in the regular inventory or in the experimental stages disappeared in early July 1947. Those on the inside of these organizations, with the clearances necessary, would know this. They might speculate about a collision with an unknown object but they would know that it was not an aircraft of any type. We move into trivia again. Holloman Air Force Base was, in fact, the Alamogordo Army Air Field in 1947, but I suppose you could argue that someone writing about this in 1952 would use the current name of the air field rather than the older name. Almost the same could be said about the tissue samples were sent to Fort Detrick. The problem here is that Fort Detrick was Camp Detrick in 1952. The new designation would not be made until some four years after the document was allegedly written. Yes, you could say that it is a minor mistake that might have been made by someone who was not fully aware of how the Army designated their installations. Even someone inside the Army might not understand this. The question to be asked is how many of these sorts of errors are allowed before it becomes clear that the document was not written by an insider? Part of that answer is found in the next statement about a MOGUL balloon detecting the collision or explosion on a July 4. First, there was no July 4 MOGUL flight and there is no indication that any sort of explosion detected by MOGUL. This is not to mention that it contradicts the other information suggesting that Brazel found the debris on July 2. If the alleged detonation was detected by the July 4 flight, then how is it linked to an event that happened two days before it was launched? Even worse, according to the document, “HQ IPU alerted and dispatched a scientific team to El Indio-Guerrero on the Texas-Mexico border.” This is based on the testimony of Robert Willingham, who claimed that as a high-ranking Air Force officer and fighter pilot, he had seen the crash. The trouble is that Willingham was neither an officer nor a fighter pilot and his story has been discredited. It would seem that a tale, invented in the 1960s by Willingham and that has undergone several revisions since then, would not appear in an authentic document created more than a decade before Willingham made his first claim. Finally, we know that Project Stork was the analysis done by Battelle and had nothing to do with crash retrievals. Although it began early enough to be mentioned in this document, it is clear that the author didn’t know what Project Stork was. Attached to this is the mention of the MOON DUST team but this is a real problem. According to documents that I located in the Project Blue Book files and a letter dated December 12, 1957, MOON DUST began in the fall of 1957. In other words, it would not exist for five years and there is no way for it to deploy a team in 1950. To summarize (which is to say, let’s beat this dead horse), this document is filled with internal contradictions, it is filled with inaccurate information, and it contains information that would be correct if the programs, units and projects actually existed in 1952. While it might be argued that this is a draft (which would have been destroyed when the final draft was completed) so that you might expect the typos, misnamed military organizations, and some inaccurate information, all of which would be corrected in the final draft, there is no way to explain the predictions for the future. There is no way for the author to know the DEW line would be created two years in the future, would know that it would be called the DEW line before the name was coined, and no way to know that MOON DUST would be created some five years later. These, to me, are the fatal flaws. For those interested, there are more examples of this in the document. I just didn’t bother to enumerate all of them. And yes, I know that the comment will be made that the way to discredit a leak of classified information is to pump false information into it so no one knows what is accurate, what is false, and the whole thing is rejected. But that isn’t the point here. These documents just appeared in Timothy Cooper’s mail box and the trail basically ends there. Without a provenance, without an eyewitness, without anything to allow us to validate the documents, there is but one sane course. Ignore them. Reject them. Move our research efforts into another arena. Unfortunately, the facts about this document are not enough to remove it from the case. Instead it is considered highly reliable by some in the UFO community. There is one other thing to be said. During all my investigations into the MJ-12 documents, regardless of source, Stan Friedman, Dr. Robert Wood and Ryan Wood, have answered most of my email questions. All are aware of my personal belief in MJ-12 but they do respond and I appreciate that. It would be simple for them to ignore my questions but they don’t. I thank them for putting up with my questions. The other night as I was cursing the cable I blundered into another of those UFO programs filled with hysterical narration and a belief that nearly every outrageous claim is based in reality. In this case they were talking about the Interplanetary Phenomenon Unit as if the documentation existed to prove that the Army had, at one time, investigated UFOs under that unit title. They flashed some documentation but in today’s world with nearly everyone and her brother creating UFO documents for fun and profit you would think that a little caution would be called for. But there was really nothing in the documentary to suggest that this wasn’t true other than a mention of the “controversial MJ-12” documents. I had thought that it had been fairly well established that this IPU information had been discredited and was a little surprised to see it being used as evidence that MJ-12 was real, as was the Roswell UFO crash along with a similar event over on the Plains of San Agustin (or more accurately, a point to the southeast of Socorro, but more on that later). So I wondered just what do we know about the IPU and where did that information originate. It seems that in 1977 Larry Bryant had filed a somewhat generic FOIA request with the Army asking about their gathering of UFO reports. Eventually, in response, the Army said that their records had been sent to the Air Force in 1962 so they no longer had anything related to UFOs. If you look at the timing here, you’d see that the Air Force was also attempting to get rid of the UFO investigation or relegate it to the Secretary of the Air Force Office of Information (SAFOI), so the Army, having the perfect place to dump their UFO material, did so. All this means that at the time no one wanted to get stuck with the UFO problem. Bryant filed another request and in 1978 the Army came back with what they termed an “institutional memory,” which was their way of saying they’d asked an older member of the team what he could remember. He said that in 1958 the UFO reports were processed by the Interplanetary Phenomenon Unit. This was set up in 1958 after the launch of the Soviet satellites in late 1957. According to the institutional memory, all the material gathered was sent to the Air Force in 1962. The IPU was abolished at that point. Brad Sparks believed that the actual name was probably something like the Intelligence Processing Unit and the function was that of gathering all sorts of intelligence reports about all sorts of things to be distributed to the various commands and activities where that information could be exploited. According to Sparks, based on his review of various organizational charts and other documentation, he found the name of the IPU was actually Input Processing Unit, and if Sparks was right about its function, then this name makes more sense than the more exciting Interplanetary Phenomenon Unit. And while you could argue that Sparks has gotten this wrong, though the evidence supports him, there seems to be one fact that is not in dispute. The IPU did not begin to function until 1958. There is no evidence that it existed prior to that. But then documents from the IPU began to surface. They seemed to come from a man named Timothy Cooper who received them from a fellow named Thomas “Cy” Cantwheel which is a pseudonym so that he can’t be traced and his claims about his background can’t be independently verified. One of the documents that relates to the IPU is labeled Top Secret and it mentions only those with “Majic access may have access.” This strikes me as a rather wishy-washy way to say that “Access to the document is restricted to those with Majic clearance,” but then, that’s just my personal opinion. The document is the “Interplanetary Phenomenon Unit Summary,” and it is classified as “Top Secret – Ultra.” There is a problem with this as well. A classified project known as “Ultra” existed during World War II. Ultra was an attempt to gather and decrypt Nazi communications at the highest level. By the end of the war this was an Allied effort that was of significant importance and certainly contributed to the defeat of the Nazis. But the point is, the classification for the project was Top Secret Ultra and that was for that specific project which has nothing to do with UFOs. Overlooking this, the document lays out the “facts” about the Roswell UFO crash. The problem here is that investigations as outlined in these documents have been superseded by new and better information. It places a part of the crash at Site LZ - 2 (which I suppose is Landing Zone 2) some twenty miles southeast (that’s right, southeast) of Socorro, which moves it from the Plains of San Agustin to “Lat. 33 – 40 – 31, Long. 106 – 28 – 29, with Oscura Peak being the geographic reference point.” Overlooking the fact that the coordinates would have been listed as 33.40.31N and 106.28.29W (33° 40' 31" N, 106° 28' 29" W), those coordinates are not on the Plains of San Agustin, but southeast of Socorro. While the Barnett story is questioned and certainly does not relate to the Roswell crash, it was clear that he was talking about the high country meaning the Plains and not someplace to the southeast. For those keeping score at home and who don’t have Google Earth on their computers, those coordinates, along with Oscura Peak, are on the White Sands Missile Range near the Trinity site. It’s difficult enough to get onto the debris field found by Mack Brazel since it is private property surrounded by BLM land. No one is going to drive out onto the missile range to dig on that site, let alone get near the Trinity site without permission. As far as I know, no one has been there to see what might have been left behind. In fact, that leads to another question. Why is it that they have the coordinates for LZ – 2, but not for the Brazel ranch site? I suspect the reason is that when this document was created, the coordinates of the Brazel site were known to very few people and if the document had the wrong coordinates, that would call its legitimacy into question. The hoaxer just didn’t know those coordinates. In fact, I can date it even better than that because it does mention Mogul and no one was talking about Mogul until the early 1990s. It is unlikely that a report created in 1947 would refer to the balloon project by that name. It probably would have referred to it as the New York University balloon project or the constant level balloons rather than Mogul, if mentioned it at all. More likely it would have just mentioned weather balloons if it was felt necessary to make that connection. All that does is allow us to date the time of creation for the document and point to another flaw in it. But, remember, the IPU, by whatever name, didn’t exist in 1947 and wouldn’t exist for another decade according to the best information available. This document does nothing to prove that the name of the organization was the Interplanetary Phenomenon Unit because the document is a fake. In other words, Corine is not actually confirming the existence of the IPU as the Interplanetary Phenomenon Unit because that is the name of the unit used by William Steinman in his letter to the Army. Steinman gave them the name. Yes, the IPU existed but it was not the Interplanetary Phenomenon Unit. It was the Input Processing Unit, which certainly isn’t the same thing. And, yes, this is splitting a fine hair, but the point is, other than the “institutional memory” of the name, the letters cited as proof seem to be responding to information included in the FOIA requests. I’d like to see a document from a government source (other than MJ-12, of course) that uses the name Interplanetary Phenomenon Unit on it. Brad Sparks said that he’s seen organizational charts with IPU on them, but not that particular name. The evidence for the Interplanetary Phenomenon Unit is one man’s memory that seems to be contradicted by the documentation from official sources, which you all are now free to reject because it is from official sources and is all part of the bigger conspiracy. Everything, including to those letters to researchers, points to the creation of the IPU in 1958 which means that a document that was allegedly created in 1947 using the name Interplanetary Phenomenon Unit is a fake. And if it is a fake then those using it in a documentary to support another aspect of the UFO phenomenon have failed to prove their point. A fake document proves absolutely nothing and shouldn’t be used as evidence for the existence of something else. Oh, I do get it. Those producing documentaries don’t have the comprehensive knowledge needed to understand what is going on. They must rely on the “experts” to understand what they are being told… and too often there are competing points of view. Sometimes the information is easily available and the evidence of fraud is almost overwhelming but they still use it to bolster their case. They want to believe just as badly as some of those in the field want to believe so the negative evidence is reduced to a single sentence or phrase that is almost mumbled. The “controversial” comment is misunderstood by many, suggesting that there is still an open question. In this case, with this organization, the IPU, and this particular document, there is no real controversy. The results are in and the document is a fake. Although this might be considered kicking the sleeping dogs and stirring the pot unnecessarily, I think it important to address this issue one more time. I have, previously, denied that I was involved in the investigation of the slides that allegedly show the body of an alien creature. When I said that I hadn’t participated in the investigation, some saw that as a lie on my part, but the truth then, as now, is that other than a few limited enquiries made prior to learning more of the story, I did not investigate. To recap, about a year ago, rumors began to circulate that members of the Team had learned of two slides that showed an alien creature on a gurney. At that time, I knew nothing about this and the claim that we all were obligated to remain silent because of some kind of nondisclosure agreement (NDA) was untrue. Nick Redfern seemed to have some information about that and I called him. He told me the story and I had no reason to doubt what he was saying which is not to say that it was accurate. Nick was telling me what he had been told without investigation on his part (sort of the same thing I’ve been saying). I emailed the members of the team, telling them what I knew and that I had signed no NDA. I was surprised to learn that Nick's information was accurate. There were two slides and an NDA had been signed. At this point, realizing that anything I said publicly could be construed as a violation of the agreement, meaning simply that the man holding the slides would believe that either Tom Carey or Don Schmitt had told me about the slides violating the NDA. This was not true. I would have liked to publish on my blog that information because my source on it was Nick Redfern, but I was afraid that the slide owner would not believe I had learned about them from another source. That was the extent of my “investigation.” I learned that others were working on this and that anything I did could compromise their working relationship with the source. Once in a while, I would hear something new, mostly from Nick or at Rich Reynolds’ UFO Iconoclasts blog. But I was getting no new information from those involved in the investigation and was offering no advice, other than to suggest that I thought the whole thing problematic. There was no provenance for the slides and no one really knew who the photographer was. This is the same basic problem that haunted the MJ-12 nonsense for years. At one point late last summer, after suggesting these problems, I was shown a research protocol for validating the slides. I did not solicit the document. I was provided with it because of a negative comment I had made in another arena. At the time, I thought the document was telling me about things that been done, but on rereading it, realized it was merely a proposal for investigation. All this is just a preliminary to remind those who have not been paying attention the circumstances of this dust up. I had told many that I wasn’t involved in the investigation and I mentioned to a few that I knew some of the details but not all of them. In fact, when Nick said that the “nether” regions of the alien were covered, I thought he meant by a cloth, not by a hand-lettered sign. Such was my knowledge of the slides and my “investigation” into them. Just a few days ago I received a copy of UFO Today. Philip Mantle supplied it to me and I found the article “Do Slides from 1947 Show A Roswell Humanoid,” written by Tony Bragalia. It is a recap of the investigation into the slides and how Tom and Don came into possession of them. It was similar to a piece he had published last year. Tony wrote, “My research associates, pioneer Roswell investigators and authors Tom Carey and Don Schmitt, began a dialog with…” Well, for my purposes here, the rest of the sentence is irrelevant (oh, okay, it said, “…with a brother and his sister, a onetime estate-cleaner.” See? It was irrelevant.). At that point Tony tells how the unnamed brother and sister got their hands on the slides and how the discovery of them eventually reached Tom and Don. He goes into some detail about the woman who originally owned the slides, supposedly, I guess, inherited from her husband and the like. For those interested, check out the UFO Today web site to learn how you can acquire that issue of the digital magazine. See, once again my name is left out. Why? Because, I was not involved in the investigation. These four were working on it without consulting me. This article, I believe, proves that I wasn’t involved in it. I was knowledgeable (as were several others), but not involved. True, I had some inside knowledge, but that isn’t the same as participating in an investigation. I have inside knowledge of Project Blue Book (well, not so inside anymore) but I didn’t investigate UFOs for the Air Force or Project Blue Book. Yes, I know that this will do nothing to convince those who believe I lied about it that I did not. But maybe some of those who are sitting on the fence will understand that sometimes situations are just not black and white and sometimes people just make errors. I hope that information from one of those who did participate and are participating in the investigation will be good enough but I know it won’t. They are too deeply invested in the idea that I was a participant in the investigation. Sometimes you just get caught between the rock and the hard place and there isn’t much you can do about it. This is not the first time that something like this has happened to me… guilt by association… but I can hope it will be the last. The owner of UFO Magazine, Inc. has officially noticed [sic] that he is putting UFO Magazine, Inc. up for sale. We do not know If [sic] there is currently a buyer, or who the buyer is, or when the sale will be effectuated. This website contained a number of comments about this, though many of them have no relevance to the discussion at hand. Bill Birnes explained some of the back story to the acquisition of the magazine and how he became involved with Philip Corso and UFOs. It was that association with Corso that eventually lead to Birnes’ association with UFO Magazine. Also in the comments section, Birnes wrote, “Because, as a result of our license revocation, we will be precluded from publishing any new issues of UFO Magazine…” He then outlined the options available to subscribers to satisfy them about the unfulfilled part of their subscriptions. This is just another example of a publication founded prior to the Internet to find itself in financial difficulty. 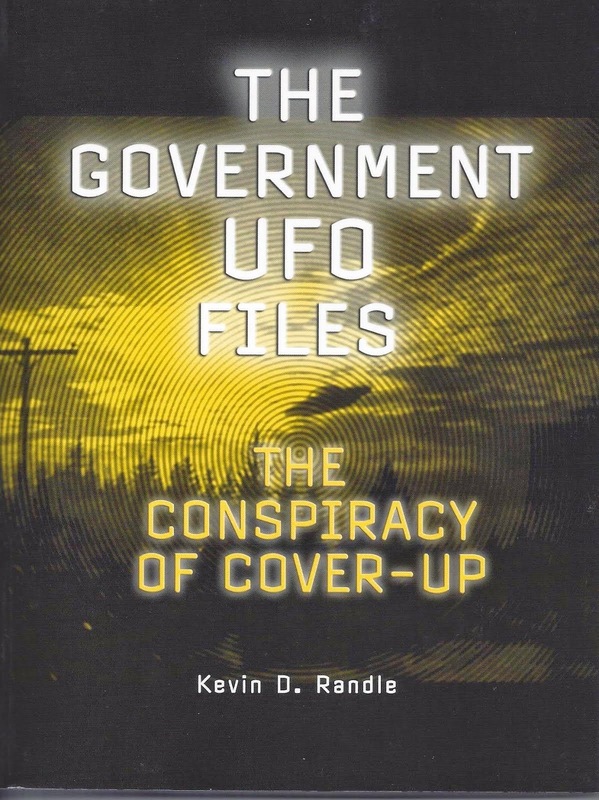 In the case of UFOs, I wonder if blogs like this one, and websites such as UFO Chronicles (though I’m not suggesting any wrongdoing or blame here), haven’t contributed to the problem. Why buy a magazine when there is so much UFO content on the web for free? I charge nothing for those who wish to read what I have to say here and Frank Warren of UFO Chronicles makes his content free as well. I could name a dozen, two dozen or more blogs and web sites that provide a wide range of UFO information from the ridiculous to the credulous to the hostile to the well-researched and thought out. The point here is not the diversity of writers, opinions, information or content but that it is free for those interested. Why buy a magazine when you can read it all on the Internet? It isn’t just the UFO magazines that find this, but a wide range of publications. It seems unless it is related to celebrity gossip, tattooing, guns or cars and motorcycles, no one is buying magazines. So UFO Magazine is gone the way of so much else these days. Say what you will about it, the magazine did supply a wide range of opinion and content. We now have one less source of information.